Since the beginning of time the righteous have felt the need to build an earthly home for God, and in this context, have built sacrificial tables, altars and churches. After the loss of Paradise the first sons of Adam and Eve, Cain and Abel, began bringing their sacrificial offerings to God. Subsequently, Noah, Abraham, Isaac and Jacob (the first patriarchs), built altars to worship God. Later, God Himself decreed that Moses establish a Jewish Tabernacle as a place for God to dwell in amongst the chosen people. Later, King David dreamt of building a Temple, however, his son King Solomon, fulfilled David's dream. Our Lord Jesus Christ Himself, came to this Temple, prayed there, and referred to this Temple as the House of My Father and as a House of Prayer. Following the example of Christ, the apostles also came to this Temple to pray. In turn, the Holy Fathers of the Church emulated the first apostles and left us with a model along with guidelines for the construction of our churches. Following the steps set by the Holy Fathers, Christians began erecting churches everywhere the faith spread, and continues to this day. From where does this longing by all humanity arise, to erect churches on earth to God? This need lies in the very heart of man and his unrelenting desire to draw nearer to Him. In the Garden of Eden, the need for churches did not exist since man was close to and in direct contact with God. In heaven there will also be no need for churches, since the righteous will see God face to face. The Apostle St. John the Divine, writes in the Book of Revelations, that God the Almighty Himself, will be our Church. However, at present this vastness which expands from the Garden of Eden to the Kingdom of Heaven extends the very need for man in God's churches. In this vastness, our lives, full of passions and sins, pass by as a stormy ocean dividing God and man. If man is destined to cross this ocean, how does he cross it without a Ship? It is no wonder that Christ's Church is referred to as a place of learning. Everything in the church teaches us something. The candles which burn in church, have a profound symbolic meaning. Christ, the Light of the World, came into this world to enlighten the hearts of man, and to introduce us to the Glory of God. These same burning candles also symbolize the warming of the believer's heart to God and His saints, and they symbolize spiritual happiness and glorification of the church. 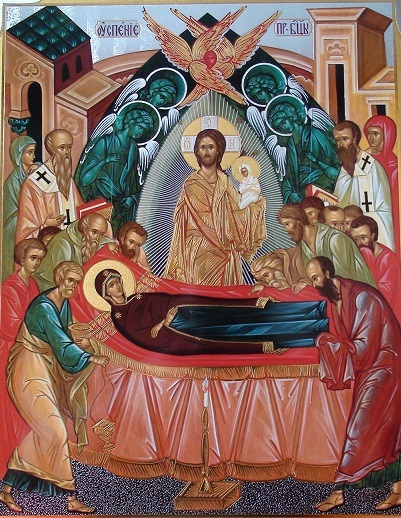 Censing before the holy icons expresses a desire of all worshipers, that their prayers will ascend to the Throne of God as the burning incense from the censor rises heavenward and that their prayers will be pleasing to Him like fragrant incense. Censing all those present during worship, represents the grace of the Holy Spirit spread everywhere and upon all mankind. Censing in conjunction with prayer is done by the bishop or priest at the blessing of the censor. In the prayer he asks Christ our Lord, that God accept the censer in the odour of a spiritual fragrance, or in other words, that the prayers or petitions of the worshipers shall be well pleasing to God like a pleasant fragrance. Acceptance of the censer at Heaven's Altar, extends on us all the grace of the Holy Spirit. The iconostasis, which encloses the altar, resembling heaven and God's everlasting presence, portrays those found in heaven. On the iconostasis we find icons or images of our Lord, the Virgin Mary, the Archangels, the servants of God, and holy events during Christ's time on earth, performed for our salvation. On the iconostasis exist three doors: the middle doors are called the Royal Gates, which lead to the part of the altar where the Holy Table is located. The door left of the Royal Gates (northern door), serves as entrance to that part of the altar where the Table of Oblation is located. The door to the right (southern door) is referred to as the deacon's door. The central doors are called the Royal Gates because the King of Glory Himself passes through them invisibly for the nourishment of the Orthodox faithful during Holy Communion (Holy Gifts). The central doors are also referred to as "Holy" because through them pass the Holy Gifts (the Body and Blood of Christ), and no one may pass through them except the ordained. The Royal Gates are also called "Great", for their size in comparison to the northern and southern doors, for the greatness of the Holy Gifts which believers in Christ partake of, and because of the great act of opening them during Divine Services. Opening of the Royal gates represents an opening to the Kingdom of Heaven for the faithful. The curtain, which hangs behind the royal gates, is drawn and withdrawn, during the course of Divine Services, and at times conceals the view of those present in the body of the church. The opening of the curtain during Divine Services signifies the opening of to the world, the mystery of salvation, which, from the beginning, going back to Adam and Eve (our forefathers), was closed to us because of the fall of man into sin. Only through the coming of the Son of God, was eternal life made possible for mankind. The Altar represents eternal life, the Kingdom of Heaven, the presence of God, and Paradise, where Adam and Eve lived. It also represents all the places where the Son of God performed His great and wondrous works during His life on earth. The place where the deacon pronounces the ektenias and reads the gospel is called the nave. On each end of the nave, past the northern and southern doors, is a place for readers and singers, portraying angels, singing praise to Almighty God. Our true God reveals Himself to us, in the House of God, through readings from the Word of God, through church songs, sermons, and through priest's acts performed during Divine Services. Our True God also reveals himself through the external and internal arrangements of different parts of the church. Those who are attentive will find answers to all their questions that occupy the human mind, and will be enriched with the comforting knowledge of God, knowledge of the world and of mankind, and about how our God, one in Entity but Three in Persona, perfect in Himself, accomplishing everything through His word, Who holds everything in His hands and Who provides goodness to all His creation. With the appearance of Christianity, a new way of life evolved and provided a deeper understanding of the inner history of ancient man. It showed that they lost their way, that they lost the meaning of life for which they were created for: to sanctify and shine on earth, with the eternal light of God's perfection, but they instead, turned away from their purpose, because they wanted to bless the earth with their own glory, and in reality disgraced the earth with all kinds of shameful acts that they could possibly think of. Like past generations, all of mankind is under the umbrella of sin and is in need of a Healer--- A House of God. 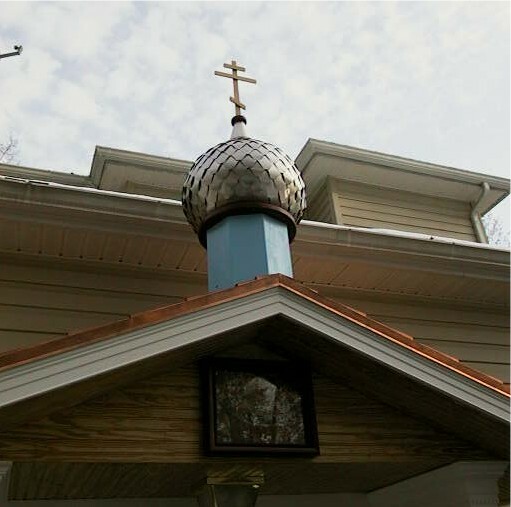 Live broadcast in real time of Sunday Divine Liturgy Services during eastern standard time (USA) is now available. 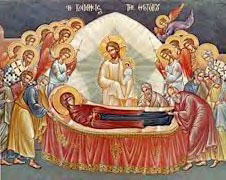 Upcoming and archived Divine Liturgies can be accessed by clicking below.